There are still more things you can find to do locally if you want to explore further. Written by Joanna Macpherson. Lochcarron Golf Club, founded in 1908, is situated in one of the most beautiful spots in the Highlands. The course is short but demanding and suited to all levels of golfers. Providing a good test of golf and a spectacular walk. Open throughout the year with catering available at the clubhouse during the season. 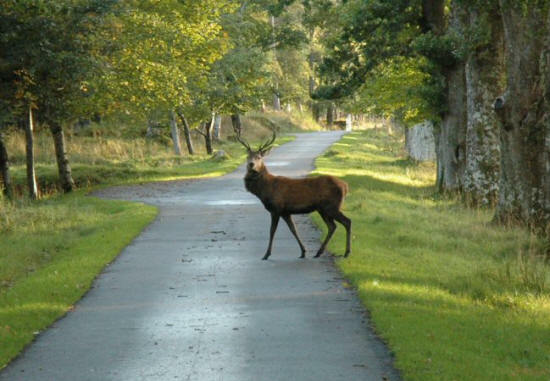 Traditional culling of deer, both male and female, has to be carried out to maintain manageable numbers of deer. If left unmanaged, numbers would rise bringing deer down onto the lower ground, where they can interfere with farming and people’s gardens. Come and see shinty being played at the Battery Park (opposite the Bank) on Saturday afternoons. Shinty is Scotland's oldest team sport played throughout the Highlands, its origins going back to the Celtic Golden Age. 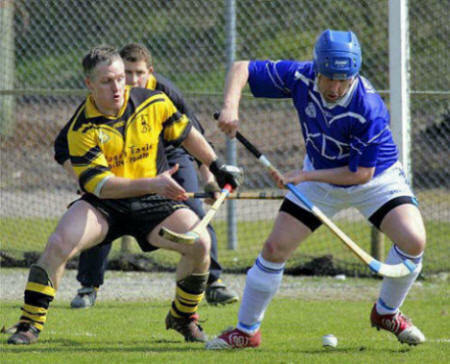 Together with its Irish cousin hurling, shinty has a passing resemblance to hockey but with very different rules. Played with a team of twelve players on a 150 metre-long pitch, the game demands stamina, skill and fast reaction when played at speed. Lochcarron Camanachd, founded in 1883, draws its players from the local villages and we welcome spectators. A free leaflet on the sport is available from our clubhouse. Come down to the Battery Park in Lochcarron (opposite the Bank of Scotland) and watch a game of shinty – Scotland’s oldest team sport – with matches most Saturday afternoons from March to October. It is an unforgettable spectacle! Visitors are most welcome and there is no charge, beyond a pitch-side collection. Teas, coffee and hot pies are available from our club house where there are free leaflets on the game. You are most welcome to film, video or photograph the event. Shinty is the traditional Gaelic sport of the Highlands and demands great skill and stamina, particularly when played at speed. Lochcarron is one of the oldest teams in Scotland, founded in 1883, and our First Team plays throughout Scotland in the Premier League while our Second Team plays regionally throughout the Highlands. We currently have three international players capped for Scotland in the annual shinty-hurling match against Ireland. All of our players are from the local community and many are employed in the traditional Highland occupations of fishing, stalking, crofting and forestry. However, today many are forced to seek employment or higher education outwith the community and several players travel each weekend from Edinburgh, Glasgow and Inverness, such is their commitment to the game. The club holds many sporting awards and uniquely, in 2002 and again in 2005, the club gained Investors in People recognition for its work with our many volunteers drawn from the local community. Over 100 people are involved with the club, players, school children (boys and girls), parents, volunteers and our club committee – all from a resident population of less than 800. Shinty has an important part in Gaelic traditions and runs deep in local culture. Come down to the Battery Park and experience this exciting and fast-moving game – and support the team.